Home » Internet Marketing & Product Reviews » Secret Millionaires Club Review – Scam or Legit Money Maker? The Secret Millionaires’ Club is an online trading portal that promises to help you earn close $1,135,659 within 6 months, by introducing you to highly-effective trading software. The people behind this club make tall claims about making this software available to you free of cost and how you can use it to make it quick money right from the comfort of your home, without any risks. What does it claim to do for you? You will get to hear about the Secret Millionaires’ Club mostly through advertisements and spam emails. You will be asked to register on the portal first so that you can access the free trading software that promises you millions in just 6 months. 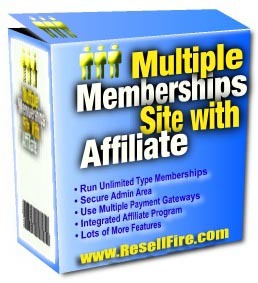 This website uses highly polished and sophisticated words to lure you towards signing up. After all, everybody is human and it is quite natural to get tempted towards a site that promises you quick bucks without you having to try too much. The trading software, that the website promises to give you free of cost, works on autopilot mode, as per the site. Can you really make millions easily without investing anything? Is the Secret Millionaires’ Club a scam? Keep reading to know more about this. Can you trust the Secret Millionaires’ Club website? The straightforward answer to this question would be, no, you cannot! On the face of it, the Secret Millionaires’ Club may paint a rosy picture by making very tall promises. However, it is important that you don’t get fooled by them. When you enter the website, an imaginary person named Steven will give a fake timer and rush you into joining the club as the software that he is about to offer you is available only for 30 select people. This is only to make you sign up for the site without using your logical sense. In reality, there is no hurry at all. When you refresh the page, you will see that the timer starts again. Though the website claims that the automatic trading software is available free of cost, in reality, it is not so! When you sign up on the first page, you will be taken to the trading brokerage site, where you will be asked to deposit at least $250 to continue. The fine print mentioned as part of the terms and conditions clearly tells you that signing up for this is your decision completely and that Secret Millionaires’ Club has nothing to do with the risks and losses that you incur. Yes, it is, without any doubt. If you want to earn money online, you should always remember to do your research and choose trusted and legitimate ways for the same. The terms and conditions of the Secret Millionaires’ Club are shrouded with too many ambiguities that you cannot afford to ignore. The site is only run by brokers who try to rush you into joining the club so that they can earn their commission through you. It is highly recommended that you stay prudent and say no to such scams. Please leave your comments below and thank you for reading.